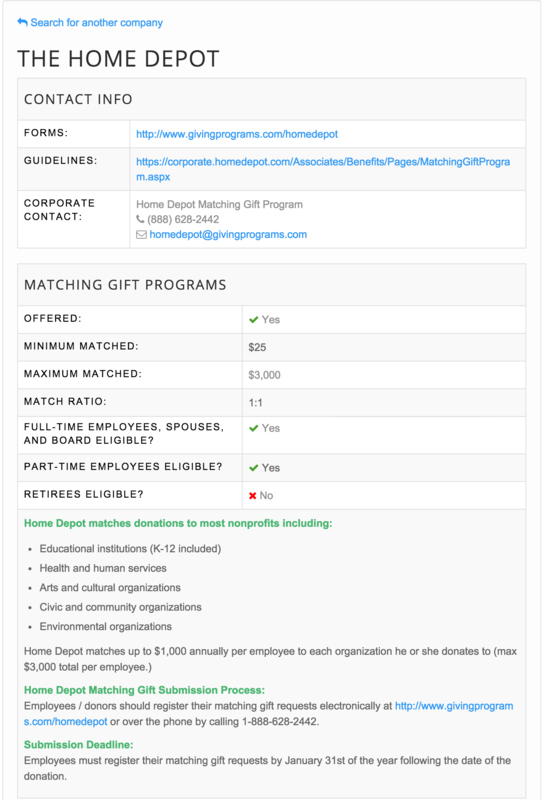 The Salsa and Double The Donation integration allows nonprofit organizations using Salsa Engage to plug-in the Double the Donation Matching Gifts Tool on any donation page or donation confirmation page. Launch your matching gifts strategy and start multiplying contributions. 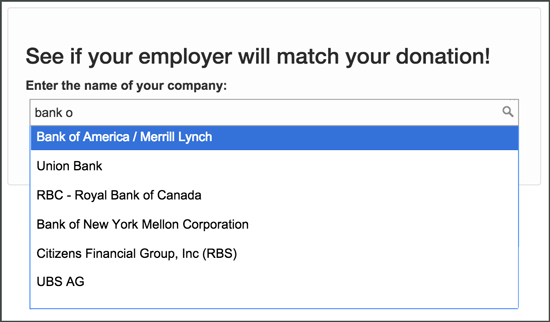 Implement this plug-in on all your donation pages so that donors can find their employer's matching gift information with one-click. It's free money and no extra work for you! If you're currently using Salsa for your donor management and fundraising software, you'd be wise to include matching gifts in your development strategy going forward. 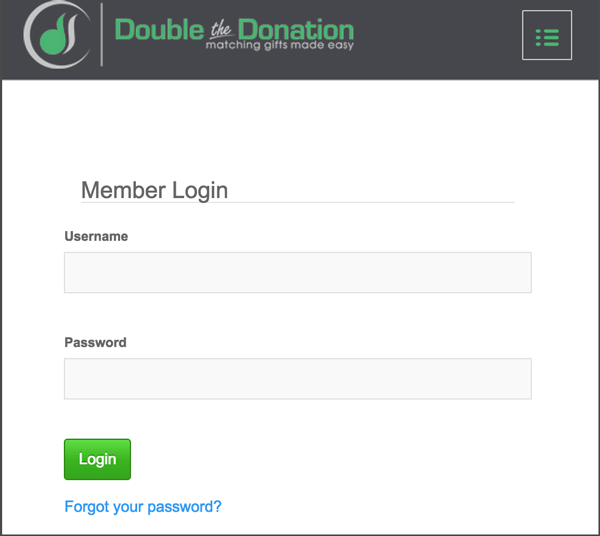 Double the Donation, a leading provider of employee matching gift data and tools to nonprofits, has created a matching gift plugin to incorporate into your online donation process and across all your digital fundraising channels. If you're interested in mulitplying your donations without doing any extra fundraising, this guide is for you! 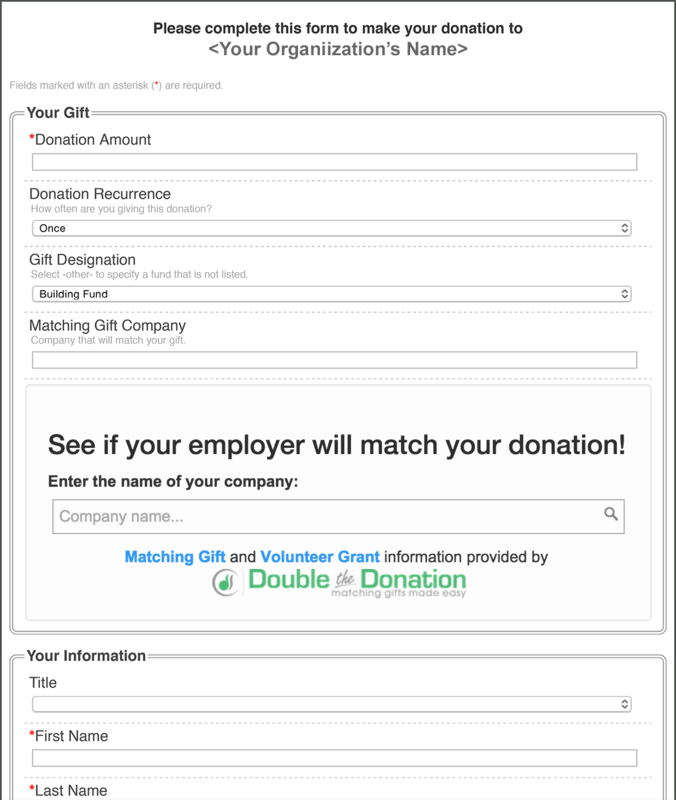 Simply follow the steps below to set up the Double the Donation’s employee matching gift plugin into their fundraising pages. If you don’t have an account with Double the Donation, you can learn more about their service here. This integration guide will give you step-by-step instructions for both methods. 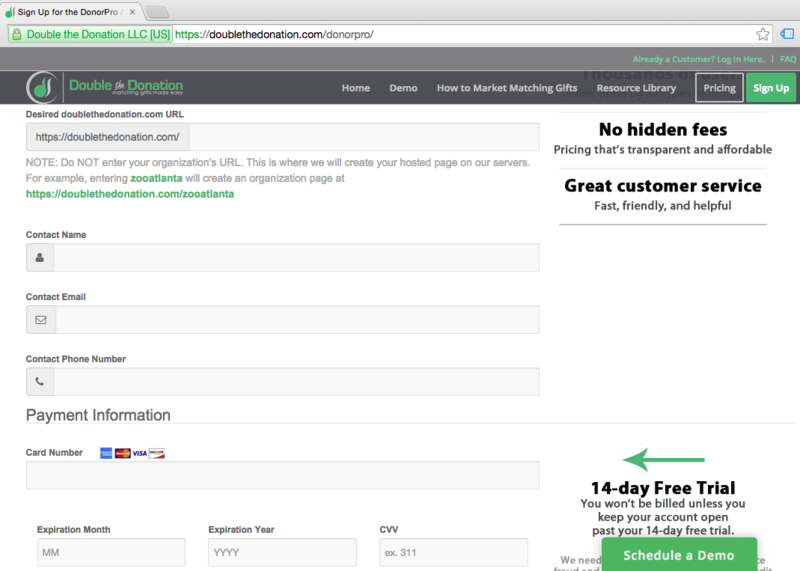 There are five easy steps for incorporating the plugin into the donation process. Once you complete the following five steps your donors will be able to access company specific matching gift information directly during the donation process. Sign up for Double the Donation. You can do this at https://doublethedonation.com/donorpro. Log in to your Double the Donation account. You can do this at https://doublethedonation.com/members. Copy your account’s Double the Donation API key. Log in to your Salsa account. Open your Salsa software and paste your API key into the Double the Donation API Key field, which should be on the general configuration page under the online donation section. And voila! Your Double the Donation integration should be complete. Go to your donation pages and verify Double the Donation’s matching gift plugin is activated. When a donor selects their company they’re presented with everything they need to submit a matching gift to their employer including forms, guidelines, and instructions. Create a dedicated matching gift page on your main website. Direct donors to your dedicated matching gift page across your broader fundraising efforts. For our complete marketing toolkit which includes suggested marketing locations, downloadable graphics, sample wording, and examples visit https://doublethedonation.com/marketing-matching-gifts/. Want to Get Started with Double the Donation’s Service? Learn more about Double the Donation’s service or contact Double the Donation’s team. Who is Using This Integration? Nonprofits of all sizes use Double the Donation's matching gift services, including Salsa users like Henry's Fork Foundation, Dementia Society, and ACHIEVA are all leveraging this integration.